In one of his more famous essays, “The Abolition of Man,” C.S. Lewis identifies one of the central problems with what he calls “applied science,” or what you and I call technology. Here, Lewis presents two basic postures toward the world. On the one hand, virtuous living is directly related to the degree to which we change ourselves to meet the world as it presents itself. When we “conform our souls to reality”—that is, when we are continually reminded that this world is not about us, but that we must adapt to it—then many virtues have the opportunity to develop naturally. On the other hand, when we “subdue reality to the wishes of men”—that is, when our lives are increasingly about shaping the world to fit our own conveniences and desires—then the result is not knowledge, self-discipline and virtue, but ignorance, indulgence and vice. Do you remember when watching Seinfeld meant you had to rearrange your schedule and be home on Thursday evenings or (heaven forbid) wait for the rerun? No longer! Our television shows answer to our increasingly busy schedules. Even DVR isn’t enough anymore; now we can stream at whim through our Hulazon Proflix accounts. And who wants to listen to the real radio, where we may hear a song we don’t like? Now, thanks those twin wizards Pandora and Spotify, we can hear music that’s algorithimcally guaranteed not to offend—or expand—our finely-tuned musical tastes. My children will be raised in a world in which food availability is no longer dictated by the tilt of the earth on her axis. We’re there already. Wait until apples are in season? You must be joking. Whyever, then, did God make Argentina, fossil fuels and big box grocery stores? All of these things and more—in big and small ways—acclimate us to the idea that life really is all about us. Small wonder, then, that we’ve come to believe we live in a world that exists to satisfy our individual desires: in many ways, it does. 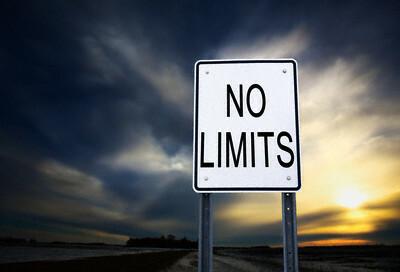 Our self-gratifying culture is the only logical end of a life lived without limits. These implications are deeply theological: Many of us have fashioned God in our own image precisely because we fashion everything else in our own image, too. It’s the default position of our generation. We pick and choose the parts of the Bible we like. We contort the hard teachings of Jesus into self-help platitudes that do little more than reinforce our own importance. We behave as if Christianity is a grab bag of ideas that leaves us free to choose what we want and discard whatever makes us uncomfortable. Some of us leave it behind altogether, choosing instead to become one of the popular, ascendant ‘nones’. The implications are deeply sexual, too. That we “subdue reality to the wishes of men” is responsible, at least in part, for a cultural understanding of human sexuality in which gender is divorced from physiology and the plain biological necessity of opposite-sexed parents is replaced by biologically arbitrary parenting roles. The debate over gay marriage is not at all about equality; it’s about what marriage actually is—whether marriage has edges and boundaries and definition—and it is ultimately only possible within a culture that insists that we can live without any limits whatsoever. I don’t intend to draw a direct cause-and-effect line between the pager you clipped to your belt in the ’90s and the moralistic therapeutic deism or gay marriage of today. But we must also be honest: technology has conditioned us to living in a world that caters to our individual demands while expecting very little from us in return. We started with practical autonomy, and we rode that train all the way to its inevitable end at spiritual and moral self-determination. The point, of course, isn’t that technology is bad, or that it makes living a virtuous life impossible. I’m not a Luddite for the simple fact that the lifestyle improvements brought about by modern technology far outweigh the cost (think: washing machine, electric light, international flight, HVAC units). Your iPad, smartphone and automobile are not making you a horrible person. But they do take more from us than we like to admit, and unless we stand up to the challenge we’ll continue to slide into the unbridled consumption, consumerism and self-interest that come from a largely limit-less life. So what do we do? We can begin by looking for areas where we deliberately submit to something outside ourselves. We don’t have to forgo all freedom or live within every limit, but when we deliberately place ourselves within some limits—that is, when we stop subduing reality to the wishes of men—we begin to exercise knowledge, self-discipline and virtue. We flex those muscles that allow us to become wise. I’d like to see a further discussion about how to revive a cultural understanding of limits, and the necessity of these limits to a free and self-governing people. Hear hear! That’s definitely a conversation worth having. You can find it in some pockets of conservatism—its traditional strain, anyway, a la Burke and Kirk—but that’s not quite the same thing as a cultural understanding. For my money, the best place to start is Front Porch Republic (http://www.frontporchrepublic.com/).